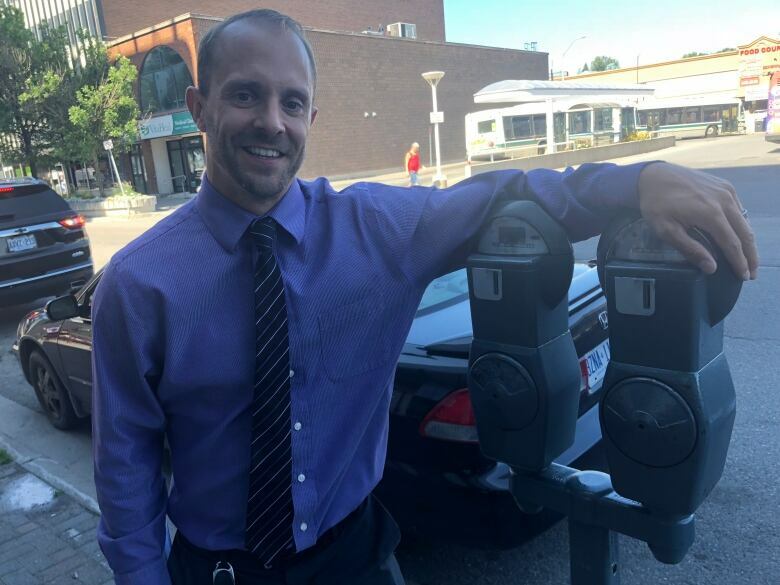 Time is running out for downtown Sudbury's parking meters. The City of Greater Sudbury will be introducing an app by the end of this year that will allow drivers to pay for parking spots using only their smart phone. This system will co-exist with the meters, until they're taken out by next fall. Time is running out for downtown Sudbury's parking meters. The City of Greater Sudbury will be introducing an app by the end of this year that will allow drivers to pay for parking spots using only their smart phone. This system will co-exist with the meters, until they're taken out by next fall. 600 new parking spots coming to downtown Sudbury? 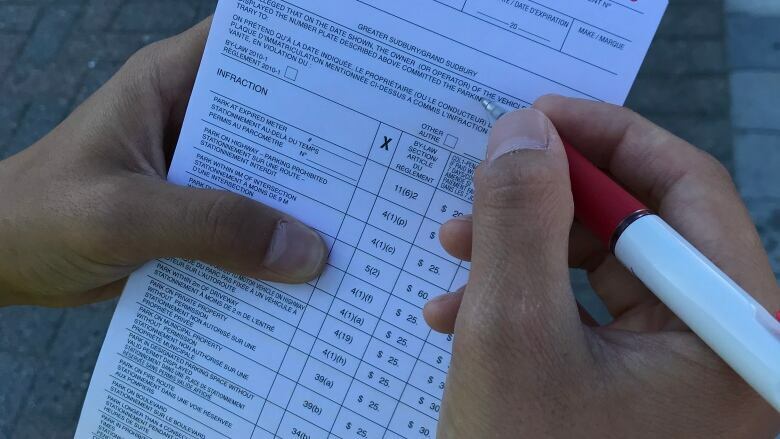 With the meters gone , people will have the option of the pay-by-plate approach in 2019, which is already in place in bigger cities like Toronto. In that system, drivers key in their licence plate numbers, select the appropriate space, time and payment through the machine. Enforcement is done with handheld licence plate scanners that will identify those who have stayed too long. 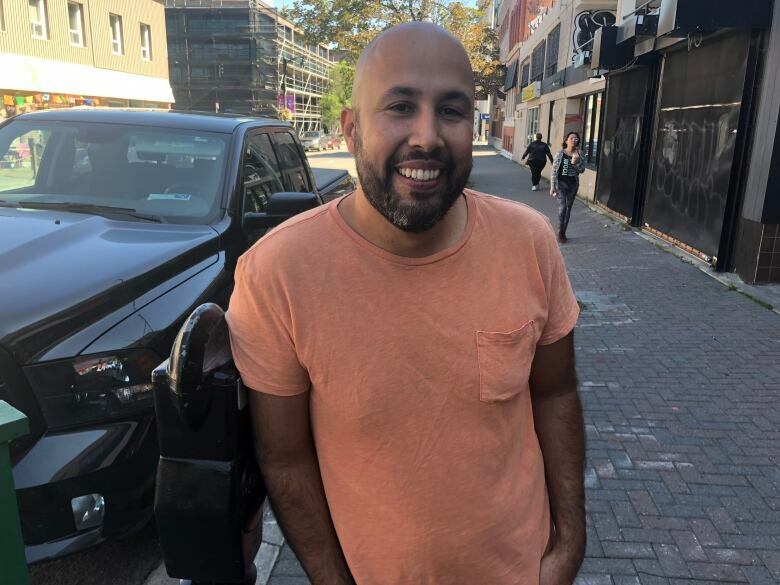 Brendan Adair, Sudbury's manager of parking and bylaw services, told CBC News the approach will provide ease of mind for people conducting business downtown. "As you're parked there for the day and perhaps your appointment goes longer, you can go back into that app, increase your stay and not risk a ticket at the end of the day," Adair said, noting the option to pay with cash at the meter will remain in place. "We understand it can be an impact to somebody conducting business." But Adair said there are other reasons to make the move. "We hope this will discourage people from parking long-term," he said. "We understand there are those in the core that choose to park for the day and will feed the meter, is what we hear." "We'll be looking at using the app and possibly having an incremental pricing strategy." With that, if people continue to park over a certain time limit, they will be charged more per hour. Adair hopes that approach encourages more people to use long-term parking off-street if they remain in the core for extended periods..
"Currently, [metered parking] is $1.30 an hour," Adair added. "People are only supposed to park for two hours." "Again, discouraging the long-term parking, but encouraging those who are going to be coming down for business for the short term." Downtown business owner Cliff Skelliter said he's excited about the new technology. "We don't even have to walk out. Skelliter said. "What if it's snowy out, what if it's raining? I don't want to deal with any of that. I want to deal with it from my cell phone and then I'm happy." But Skelliter is not as keen on a possible price increase for long-term stays. "It's not just about people coming in and coming out; it's people who spend a lot of time here. So why are we being punished for spending more time downtown?" he said. "I wouldn't say it's the end of enforcement per se, but perhaps we'll be doing our jobs a little more efficiently and smartly," he said. "We expect any app will assist our enforcement, where there will be a list provided through the app in terms of what vehicles may be out of compliance." Adair said the machines will eventually be placed "in the most accessible places, probably on street corners." "At the end of the day, we've heard of communities that get to the point of, after years of having this, that with the app, with these machines, parking almost becomes virtual and there's no need for these machines." Adair also points out that the eventual removal of the meters will have another impact on the core. "There is an impact in the winter time, with the dreaded snow bank," he said. "We're hoping the removal of these parking meters will assist in snow removal, and those that park at the curb will be able to get out and not have to climb a snow bank to get to a business." Adair said the exact cost isn't known, but that it's already been accounted for within the services' budget moving forward. He estimates it will be between $8,000 and $10,000 per machine.